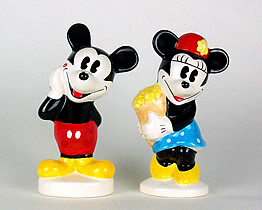 2-piece ceramic salt and pepper shaker set. Each piece measures approximately 5" tall x 2.5" wide. Hand wash. Comes boxed.